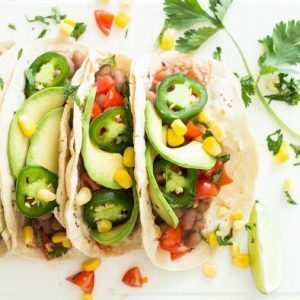 Vegan recipes for summer enjoyment! 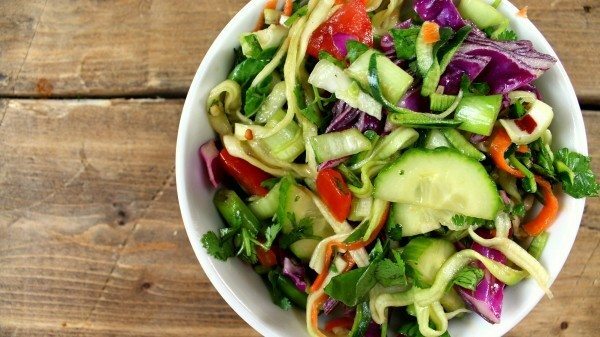 Plan your summer meals around these healthy vegan recipes! Summertime is here! 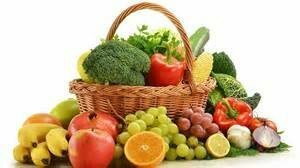 It’s time to prepare with some fresh and new vegan cuisine. Whether you’re getting ready to throw a dinner party for your friends or just looking for something scrumptious for lunch, you need vegan recipes that taste good, don’t take all day, and won’t pack on the pounds. And who says no meat means no flavor? These healthy vegan options offer quick and easy preparation along with tastes that will knock you and your guests off your feet. 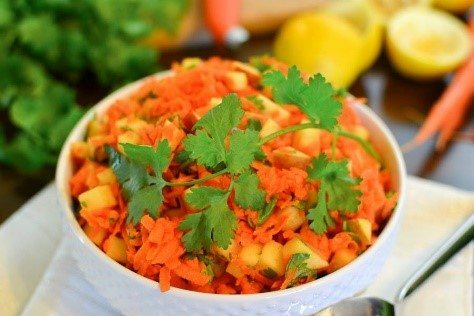 Beyond its vibrant colors and appearance beautiful enough to be a table centerpiece, this zesty salad combines a mouthwatering dressing, acidic and slightly sweet, with crisp greens and veggies. This is a great choice to enjoy as you embark on your dinner adventure. Sweet apples and carrots contrast with a citrusy dressing in this salad, giving it a flavor profile that will leave your taste buds wanting another bite. This dish makes for a great side or even a dessert! 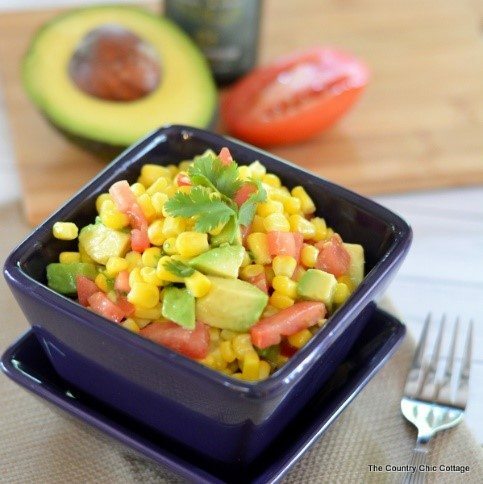 The creamy texture of avocado makes an excellent companion for the sweet and savory tastes found in this salad’s construction of corn and tomato. Expect this dish to make a great side with its full flavor profile. Tired of the same old fruit salad year after year? 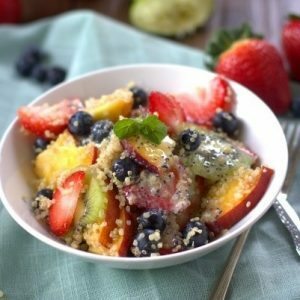 This bold fruit salad takes a blend of berries, peaches, and kiwi fruit and adds quinoa to give an additional texture. 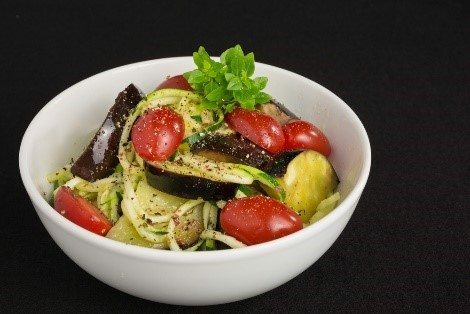 The real star of the show, however, is the dressing: zesty, creamy, and tangy, it complements the sweet and fruity flavors of the salad magnificently. This is another simple and easy-to-make salad that tastes great. The dressing of olive oil and lemon juice serves to bring out the flavor of the edamame and artichokes without overpowering, allowing the melody of taste that they create together to come through. 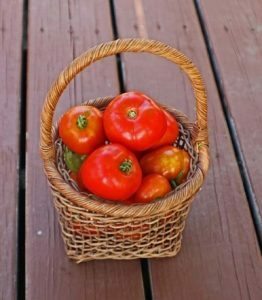 Vegan recipes for the main course! Cole slaw without mayonnaise, you say? Absolutely! 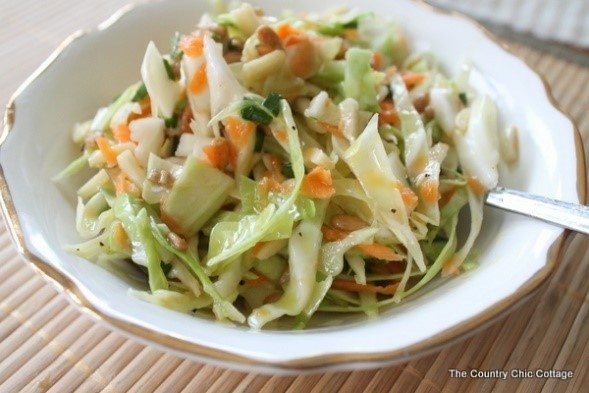 Mayonnaise is traditionally used in cole slaws as it gives the slaw a creamy texture. This vinegar-based cole slaw variant challenges the norm by instead using a touch of olive oil to give texture and sunflower seeds and almonds to give it a nutty flavor. 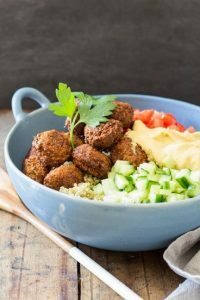 A staple of Middle Eastern cuisine, falafel is seemingly destined to be a part of a vegan diet as it is traditionally made without any meats or animal products. With its unmistakably unique and bold amalgam of aromas and flavors. This recipe differs slightly from tradition as it is served over a bed of quinoa rather than in pita bread, giving it a healthy South-American twist. A great choice for lunch or dinner! 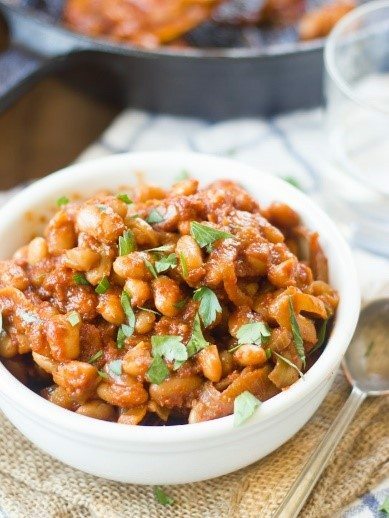 No summer barbecue is complete without the baked beans! Smoky, sweet, and spiced to perfection, these vegan baked beans make a great accompaniment for your vegan burgers and hot dogs. Stir-Fry is the blank canvas of Asian cuisine as it allows for a vast array of ingredients to customize it and make it your own. 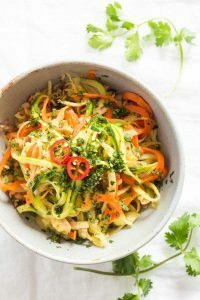 To give it a healthy and vegan flair, this recipe shuns the typical choice of egg noodles in favor of spiralized potatoes, carrots, and zucchini. Topped off with a seasoning of olive oil, garlic, and chili peppers, this simple but elegant dish makes a wonderful menu item for a lunch or dinner. Great for lunch for yourself or for entertaining, these vegan tacos have it all; they’re healthy, easy to make and eat, and they’re delicious. You can’t go wrong! As colorful as they are delicious, these sandwiches are great for any occasion. 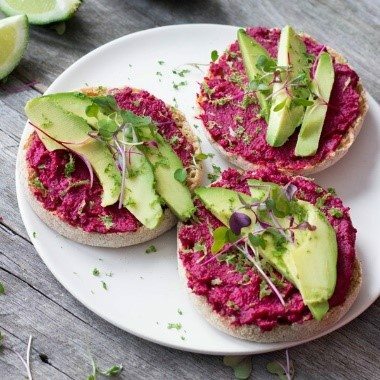 The savory hummus and avocado come together deliciously atop a toasted english muffin to make a dish easy to eat and easy to prepare. Looking for some savory Italian fare to get the party going? 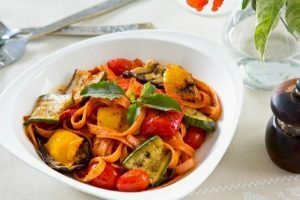 Sautéed vegetables and linguine form the base of a savory and delectable tomato pasta dish that’s sure to be a winner. Don’t let the name fool you! 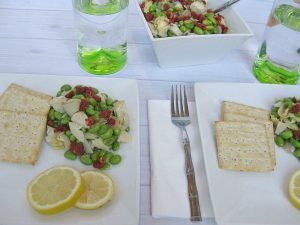 Though this dish is designed to be a warm wintertime salad, it also makes an amazing side for your summertime feast. Made with sautéed veggies dressed with garlic, oil and vinegar, this savory dish is a choice addition to your menu. 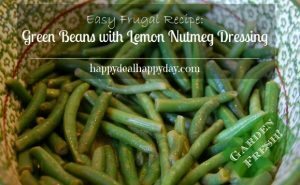 Green beans are a traditional summertime food, and they make an excellent dish to serve at your summer cookout. 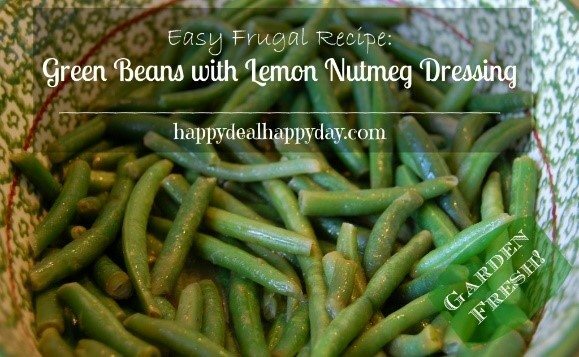 The lemon and nutmeg dressing used in this recipe complement the crisp green beans well, making this dish a classic. 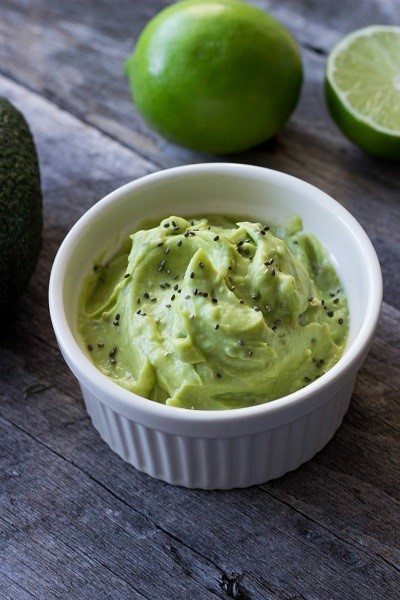 This guacamole spread is as healthy as it is bold and flavorful. The roasted garlic and onion provide a zip that is smoothed out wonderfully with the avocado. You can use the spread for a wide variety of applications, including on sandwiches, as a dip, or as a topping for your summer taco night! 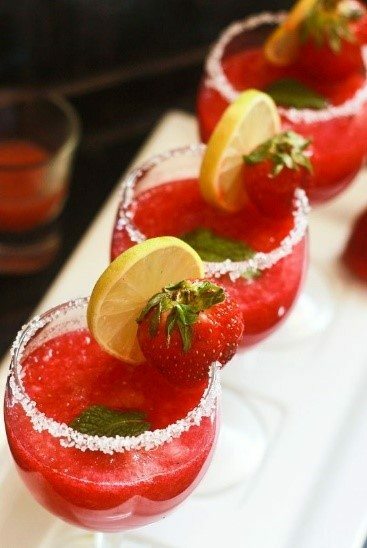 It gets hot in the summer, and you need a cold and refreshing drink to keep you and your guests cool at your backyard cookout. This lemon and strawberry punch tastes great, and its lack of added sugar means you won’t feel guilty drinking it. Vegan recipes for dessert, too! This simple recipe mixes the flavor of almonds with maple and cinnamon to create a heavenly sauce that works great as a dip for fruit and graham crackers. 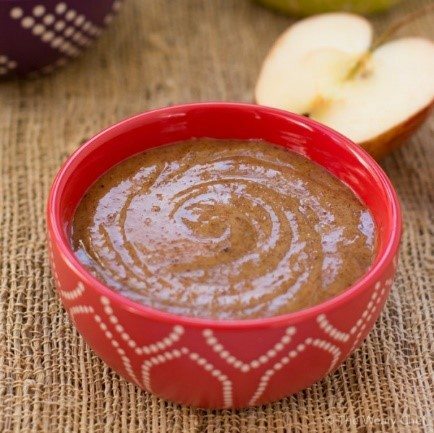 It’s an amazing addition to your morning oatmeal, too! Fruity, nutty, and yummy! 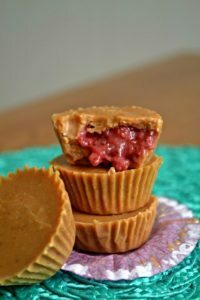 Though the word “fudge” doesn’t typically get related to the idea of eating healthy, don’t judge these fudge cups too quickly. They are made with natural sugar (a minimal amount), natural nut butter, coconut oil, and fruits. Vegan recipes can be a weekly treat, or might become your entire lifestyle. Plan your meatless Monday around them, or make them your entire life plan. Sign up to receive updates including more vegan recipes!